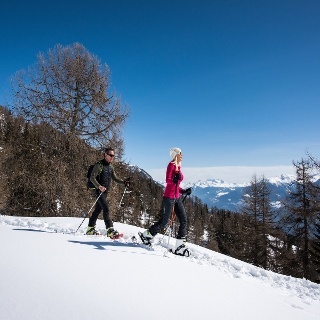 This 4 km long snowshoe trail at an altitude of almost 3'000m offers a breathtaking and unique panoramic view of the glacier of Plaine Morte. Take the cable car from Les Barzettes to Les Violettes and then the Funitel to La Plaine Morte. The circular trail begins at the arrival of the Plaine Morte funitel. You will start this circuit with a slight descent to the glacier, located below the peak of the Plaine Morte. Once you reach the foot of the glacier, you will walk alongside it for a few hundred metres. You will be able to admire the magical and lunar landscape and occasionally observe sleigh dogs on hikes with clients, cross-country skiers exercising on the glacier or thrill-seeking hosts staying in an igloo. The ascent to the Plaine Morte funitel is a little more steep. You may want to plan a stop to quench your thirst and surpress your appetite at the Plaine Morte restaurant from where you can enjoy an extraordinary panoramic view of the 4'000m imperial crown and the Rhone Valley. You are in high mountain - please make sure you plan the appropriate clothing. 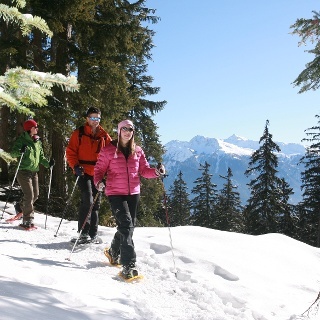 Crans-Montana Aminona SA overseas this activity during ski area opening hours. The course is closed outside the ski lift operation hours. Never leave the marked path - danger of crevasses. Make sure you find out about the weather conditions and whether the track is open before you leave. Depending on snow conditions, the route may be subject to some modifications. This route is done with snowshoes. The path is groomed and marked. 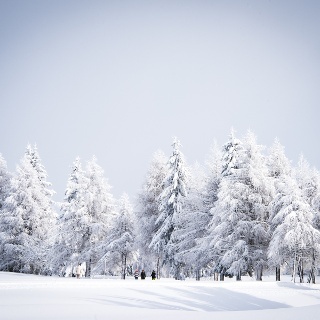 Warm clothing suitable for activities at 3'000m should be worn. Take the Barzettes-Violettes gondola and then the Plaine Morte Funitel to get to the starting point. 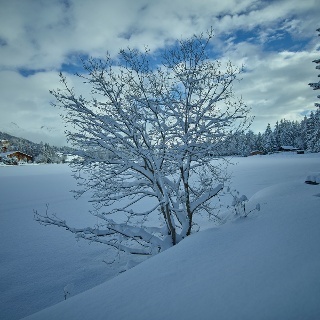 The resort of Crans-Montana is easily accessible from Sierre station with the SMC bus company and from Sion station with the bus company CarPostal. The free shuttle buses of the SMC bus company serve the whole resort of Crans-Montana. The nearest stop to the start of this hike is: Violettes. To reach Crans-Montana by car, take the exit of the A9 motorway (Rhône motorway) called "Sierre ouest". At the motorway exit, turn left and follow the signs for "Sierre". At the roundabout, turn right. Continue for 500 metres, then at the entrance to Sierre, turn left following the signs for "Crans-Montana". The journey takes about 20 minutes. 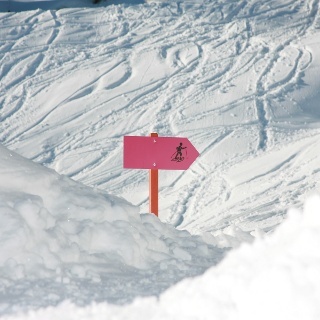 Once you arrive in Crans-Montana, follow the signposts for the Violettes Cablecars car park. Then take the gondolas to the top of Violettes and change with the funitel to the Plaine Morte.